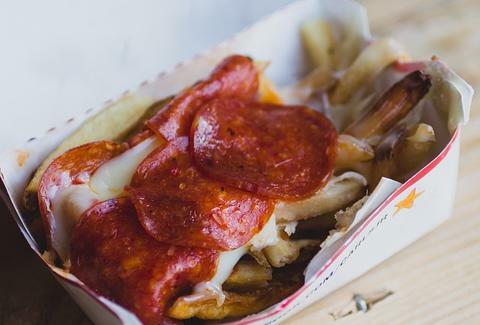 Echoing experiments you conducted with pizza Lunchables and McDonald's fries as a young dreamer, Carl's Jr. has begun testing pepperoni pizza fries in California. Foodbeast discovered the new side item in Anaheim, where they're currently going for $2.39. As you might've guessed, the fries come topped with melted mozzarella cheese, pepperoni, and even a so-called pizza sauce. It's unclear if Carl's Jr. is offering these beauties anywhere outside Anaheim, so if you spot them, please say something. Kristin Hunt is a Food/Drink staff writer for Thrillist, and would like to know why Carl's Jr. insists on taunting her from the West Coast. Follow her at @kristin_hunt.